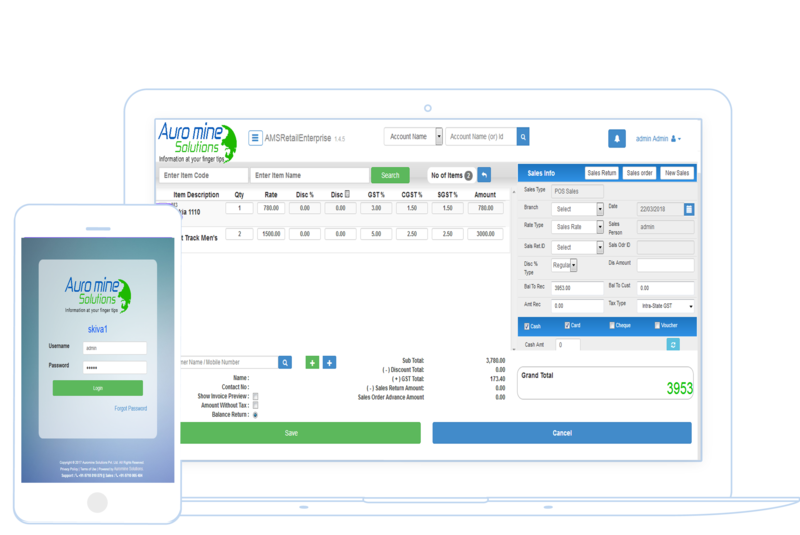 Auromine Solutions POS software possesses loads of features that would help make your business easy and ensures you are always up-to-date with the activities of your business. The inventory management feature is a very useful feature that gives you the opportunity to perform various operations which includes the option to easily categorize every single one of your products and check their values in any format. This section of the software keeps watch of every transaction that goes on in your business place and records it for several purposes. It records goods purchased, purchase orders, purchase return and more, and all you need to do is just access the data from anywhere at any time. –Goods Purchase, Purchase order, Purchase return. There is also a category of features that deals mainly with sales management. These features enhance the productivity and efficiency of your business by providing you with the support you need and saving you time by carrying out strenuous tasks. It increases the speed of your sales, bills, orders and customers transactions. With this, you can be sure everything will be done in time and accurately. The accounting feature of the software carries out all the rigorous calculations of your business with ease. It helps cashiers and customers calculate their digits fast and accurately. This features also take the place of an accountant in your business as it provides you with your business Ledger Account, Income and Expenditure account, profit and loss account, Assets, Liabilities, Cash flow, balance sheet and much more. The security of your software and data is secured as we make use of universal and custom made barcode. Our barcode includes; UPC, EAN, and Custom made barcodes which contains an Alpha numeric barcode generation and Scanning. Our purchase management feature helps with the processing of orders and purchase return by consumers. It serves as the bridge connecting your products to your target customers. It has an easy and user-friendly interface that assists your customer in carrying out their operations with ease. –Purchase item, order, Purchase return. The security of your data is guaranteed as you can back up your files from time to time and in case you forget, our software will automatically backup your data from time to time and all this can be done in your settings that is 100% user-friendly . You also get to import and export CSV with our software at any time and from anywhere. Our smart tax management provide you with tax information such as Inclusive and exclusive taxes, single and multiple taxes andthe tax fee for specific items . User Privileges and Security: With your external security airtight, you can be rest assured that your internal security is even better as various accesses are restricted to various customers and personnel and can be modified to suit your need. 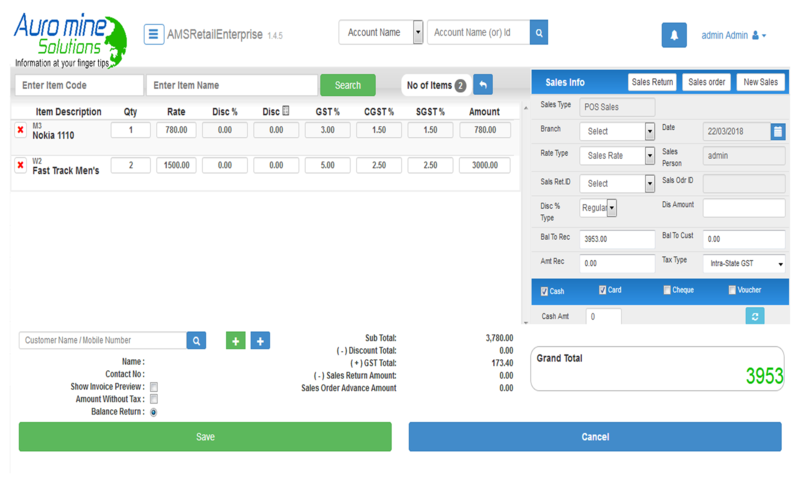 Auromine GSTBilling Software Makes GST Billing & Filing Simple and Easy. With GST Filing Options, You can Import XLS and file through your accountants, auditors, CA’s, Or do yourself by using Reliance JIO-GST( Partnered with JIO-GST work for GST-Filing). Our software carries out schedule analysis of your reports and provides you with an accurate result that can help you help your business. 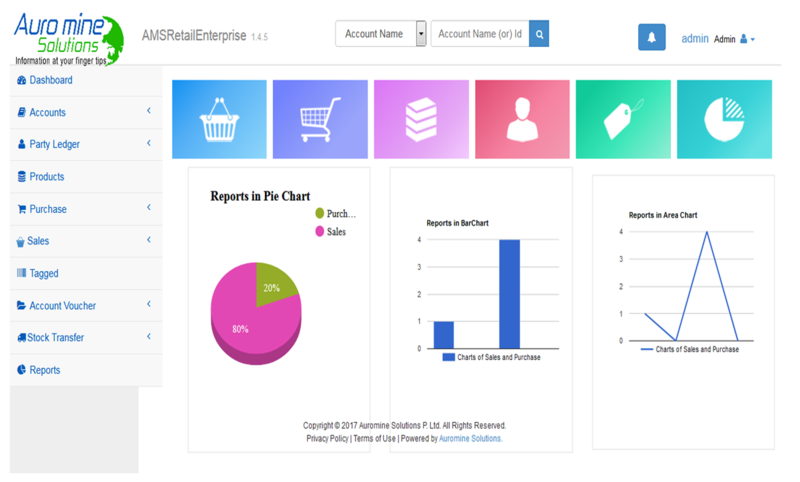 It gives you various reports such as; Accounting reports, Storefront and Back-office Reports Our software adapts to various devices and works with maximum speed ensuring its efficiency and productivity. It is available both online and offline and it is offline Installable and Cloud Hosted, however, you need it.